King’s College London International Scholarships 2019 | Application Guide and Requirements. King’s College London International Scholarships 2019 – Do you intend pursuing an Undergraduate degree program at King’s College London? If yes, here is an opportunity for you. The King’s College London, UK is offering the Global Health & Social Medicine scholarship program to applicants who wants to study the course at the Institution. This scholarship program runs for a period of 4 years and it is worth £9,000 each year. The bursary covers only part of the annual tuition fees and applicants should ensure that they have sufficient means to cover the remaining tuition fees, as well as maintenance costs. – Applicants must have finished their secondary school education. – Applicants must have applied for Global Health & Social Medicine at the Institution. 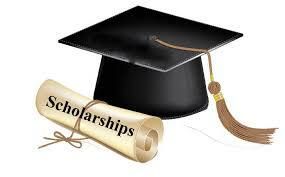 There is no separate application procedure for the scholarship. All individuals who have submitted a complete UCAS application by 6pm (UK time) on the 15 January 2018 will be considered for the scholarship automatically. Applications which are incomplete on receipt (for example, missing personal statements, references or predicted grades) will not be considered for the scholarship. – enrol as a full time student on the BA or BSc in Global Health and Social Medicine.